If You Were Me and Lived in … the Mayan Empire is a concise and visually compelling guide to discovering an ancient way of life. 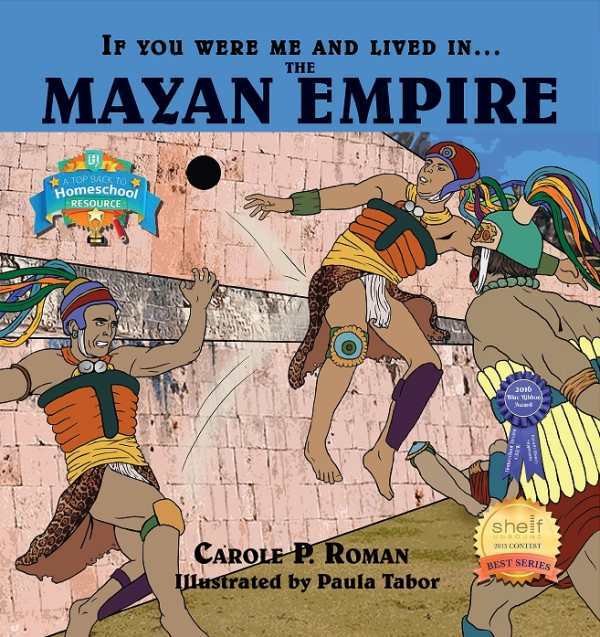 Carole P. Roman’s If You Were Me and Lived in … the Mayan Empire helps children imagine what it would be like to be a kid in the Yucatan Peninsula nearly 1,500 years ago. Step into the year 572 CE to tour everyday life when the Mayan civilization thrived in parts of today’s Mexico, Guatemala, Belize, and Honduras. The book catalogs interesting facts about Mayan life, such as the essential role of corn in both religion and diet, how children were named, marriage practices, and professions that were passed down through generations. The major city of Tikal and its surrounding pyramids are discussed, as are adobe houses with hay roofs. The work also relates Mayan accomplishments around recording history and cultural ideals of beauty. If You Were Me and Lived in … the Mayan Empire places the reader in the action by using the pronoun “you.” For instance, while discussing that jobs were hereditary, the text states, “You dreamed of being a scribe for the king. No matter how much you wanted to change your future, you couldn’t.” Such specific examples of the challenges Mayan kids faced will help children develop empathy. Significant amounts of text are evenly spread out on every other page. Pages without text show colorful illustrations of the Mayans’ daily lives. Illustrations often overlay photographs, to interesting effect. The end of the book includes additional information on specific Mayan accomplishments, a rundown of important queens and priests, and a glossary of words that also have pronunciation breakdowns when they appear in the text. If You Were Me and Lived in … the Mayan Empire is a concise and visually compelling guide to discovering an ancient way of life that will appeal to children of any age.